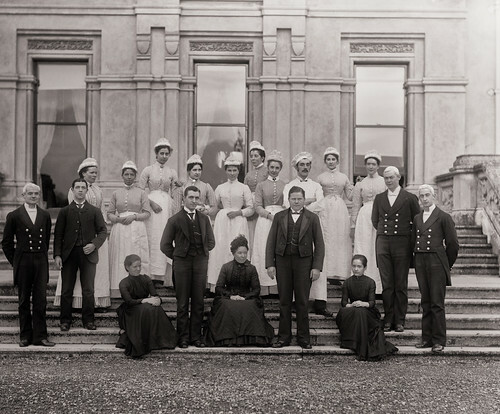 Gorgeous group photo of the household staff of Curraghmore House, Portlaw, Co. Waterford. The footmen's powdered hair is amazing! Curraghmore House is still the home of the De La Poer Beresfords, as it was when this photo was taken.